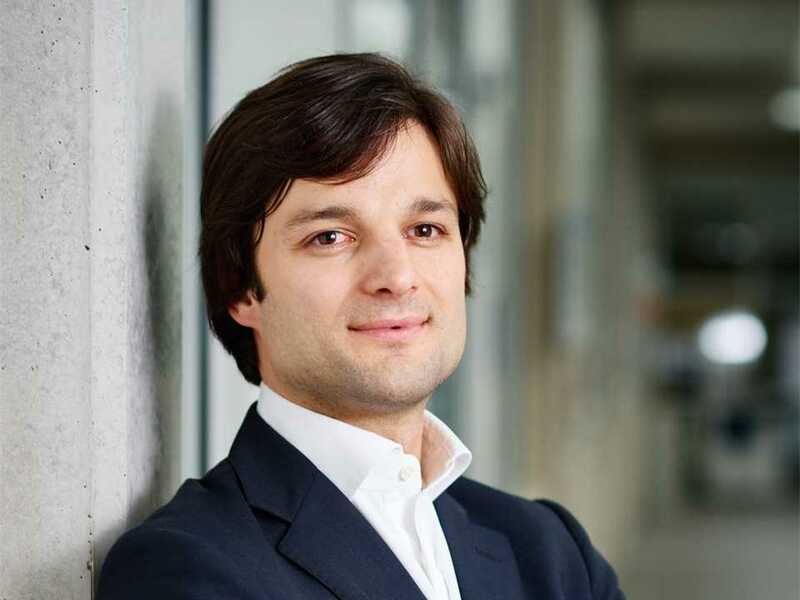 Carlos Piles is Head of Ductal Europe, an entity of LafargeHolcim based in Paris, France. 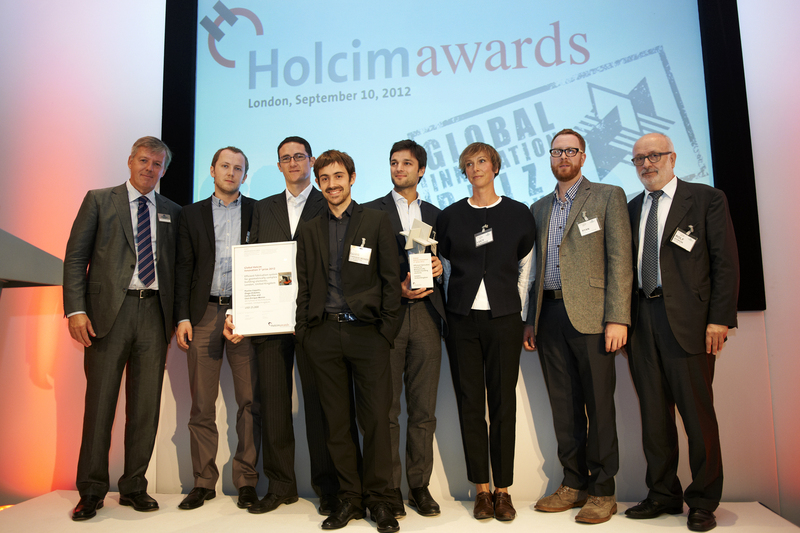 Presentation of the Holcim Innovation 3rd prize (l-r): Alain Bourguignon, CEO, Aggregate Industries UK; prize winners Povilas Cepaitis, Diego Ordoñez, LLuis Enrique and Carlos Piles; Lucy Musgrave, Co-director, Publica; Ryan Dillon, Design Research Lab Programme Coordinator, AA School of Architecture and Rolf Soiron, Chairman of the Board of the Holcim Foundation and of Holcim. 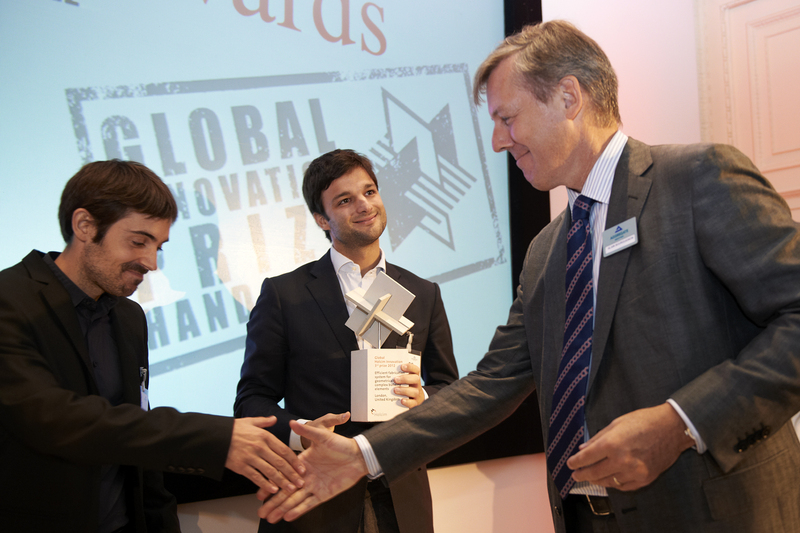 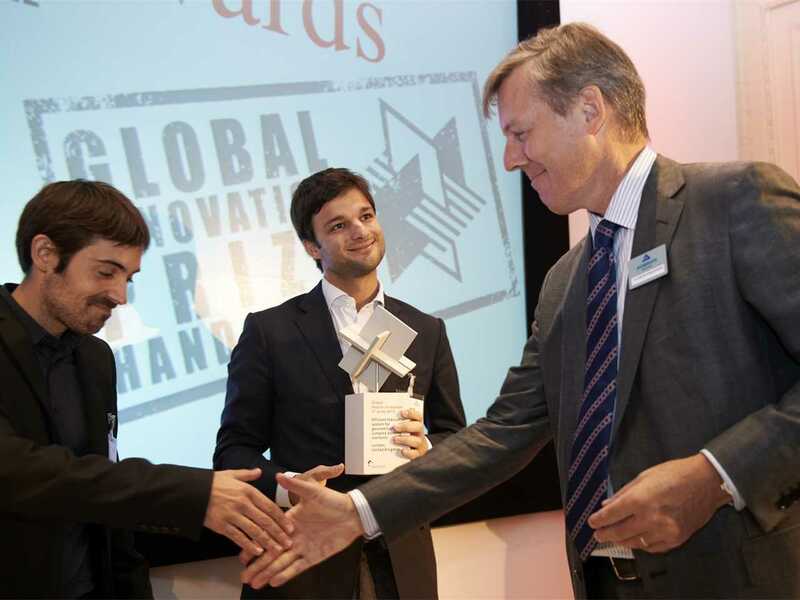 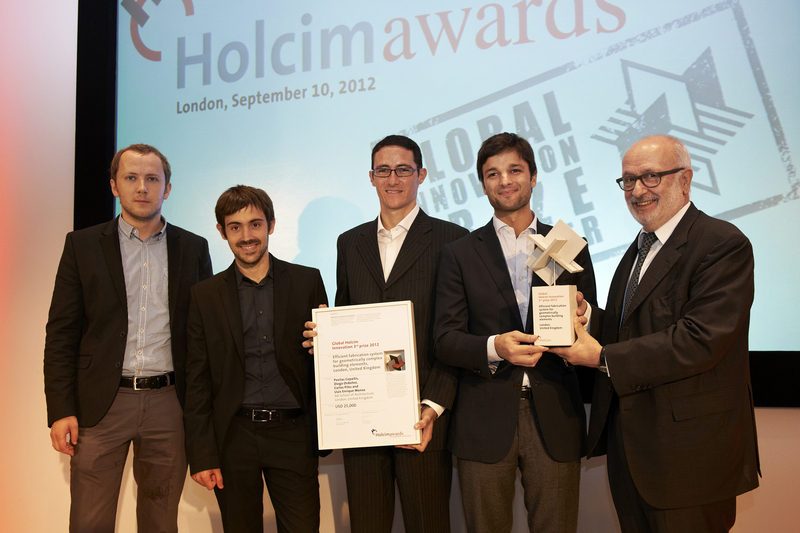 Congratulating Global Holcim Innovation 3rd prize winners (l-r) : LLuis Enrique and Carlos Piles is Alain Bourguignon, CEO, Aggregate Industries UK. 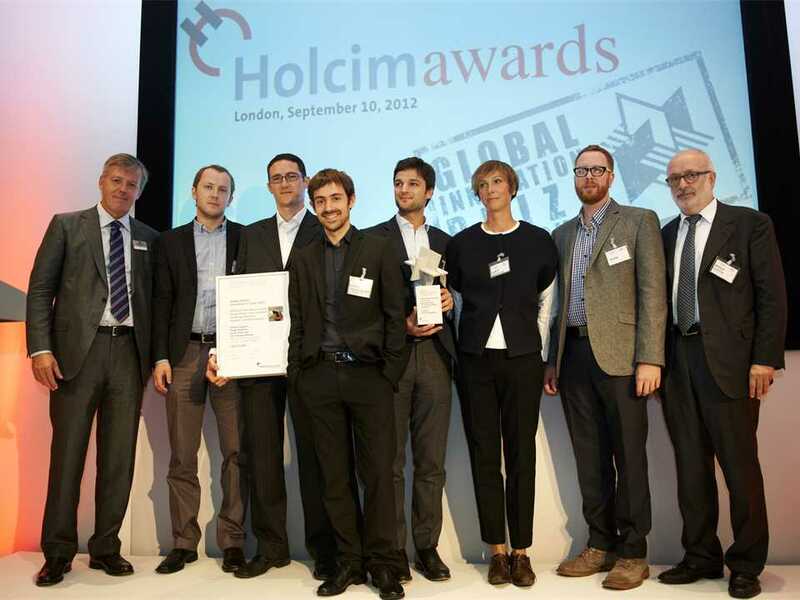 Presentation of the Global Holcim Innovation 3rd prize trophy (l-r): prize winner Carlos Piles with Rolf Soiron, Chairman of the Board of the Holcim Foundation and of Holcim. 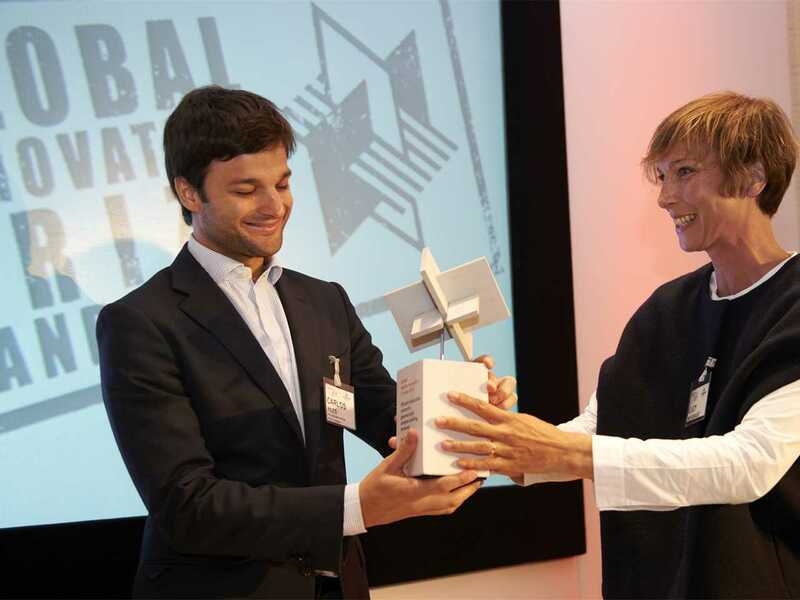 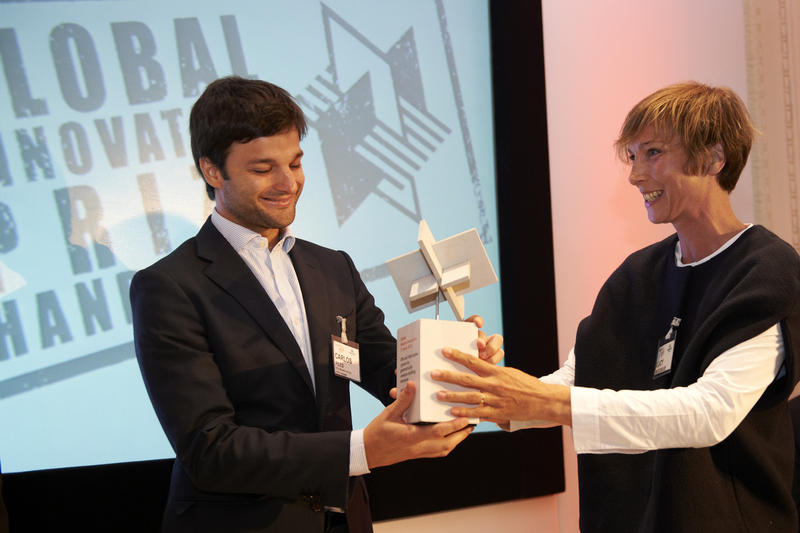 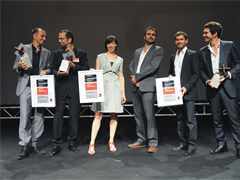 Presentation of the Global Holcim Innovation 3rd prize trophy (l-r): prize winner Carlos Piles with Lucy Musgrave, Co-director, Publica and member of the Holcim Awards jury Europe 2008 and 2011. 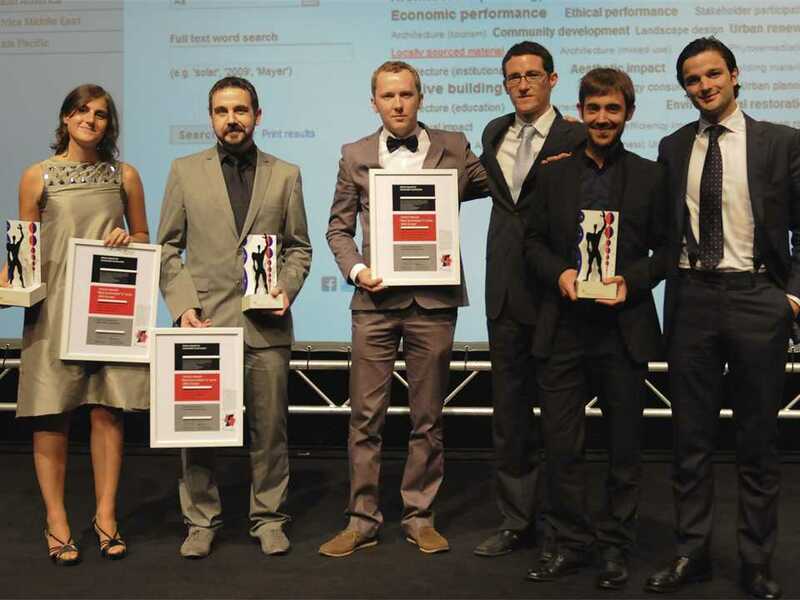 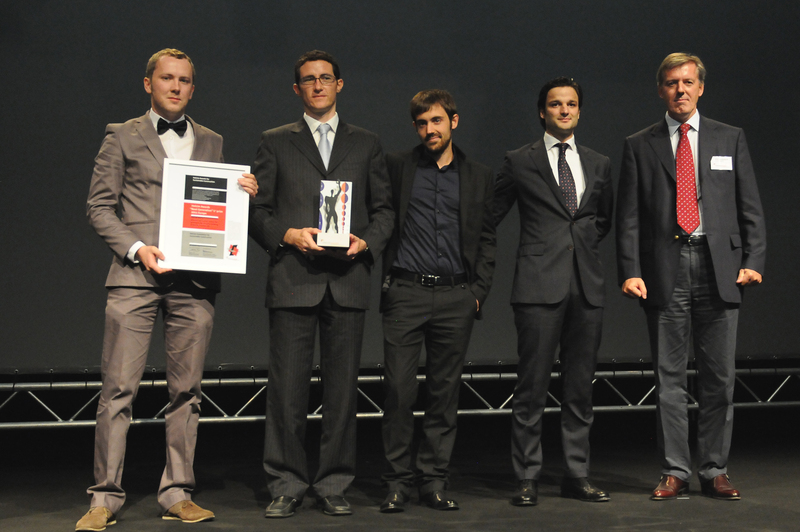 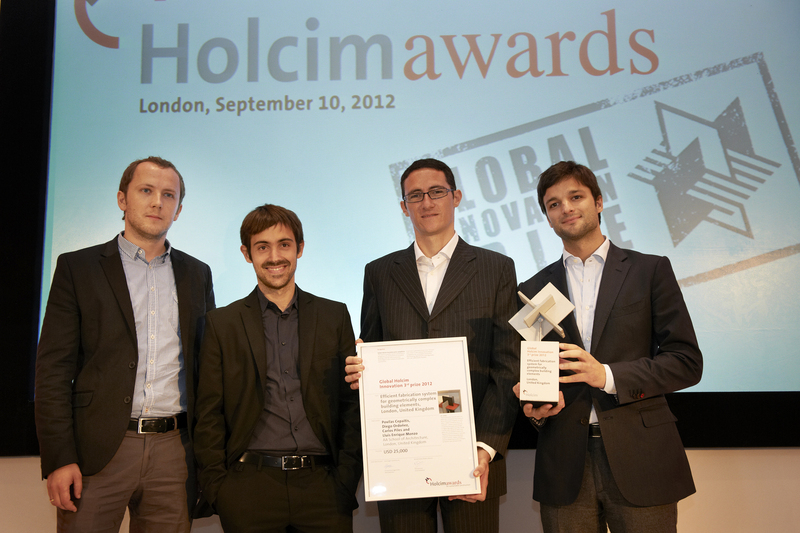 Global Holcim Innovation 3rd prize winners (l-r): Povilas Cepaitis, LLuis Enrique, Diego Ordoñez and Carlos Piles. 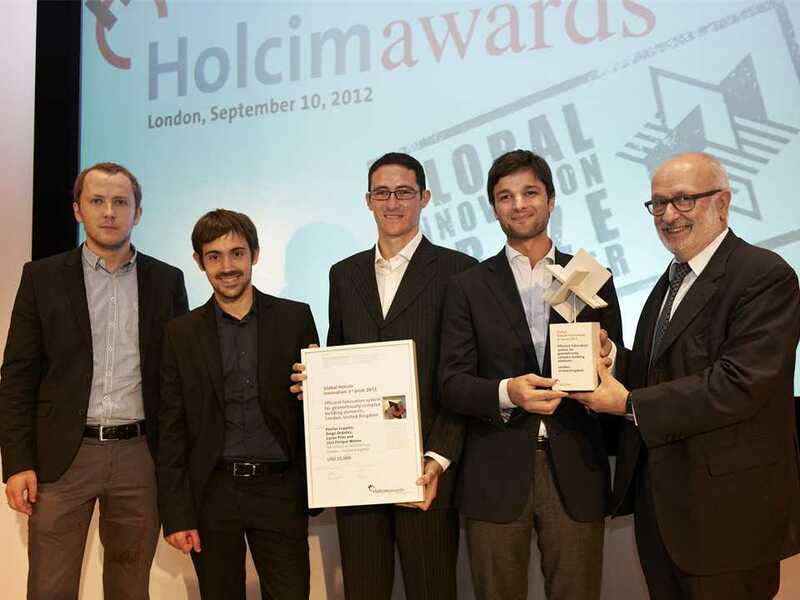 Presentation of the Holcim Innovation 3rd prize (l-r): prize winners Povilas Cepaitis, LLuis Enrique, Diego Ordoñez and Carlos Piles with Rolf Soiron, Chairman of the Board of the Holcim Foundation and of Holcim. 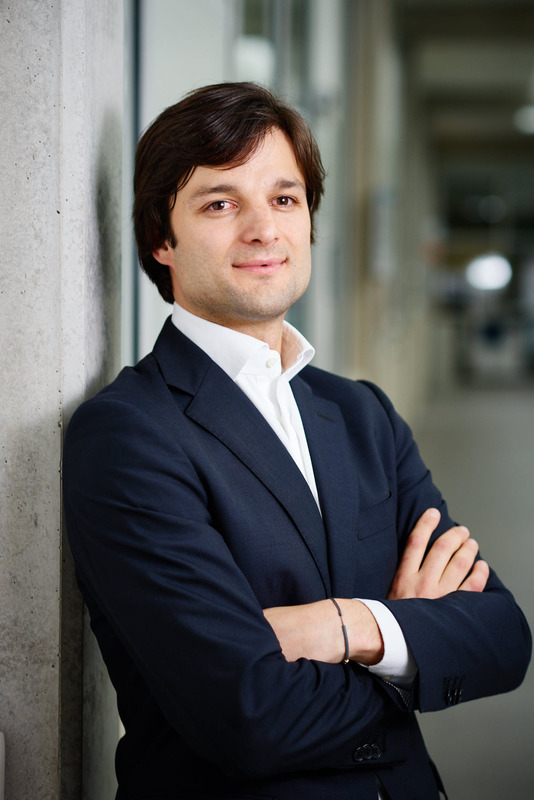 Carlos Piles is Head of Ductal Europe, an entity of LafargeHolcim based in Paris, France since February 2017. Ductal® is a high-tech construction material (Ultra-High Performance Concrete - UHPC) with the superior qualities of resistance to compression, ductility, longevity, eco-efficiency, insulation and aesthetics. 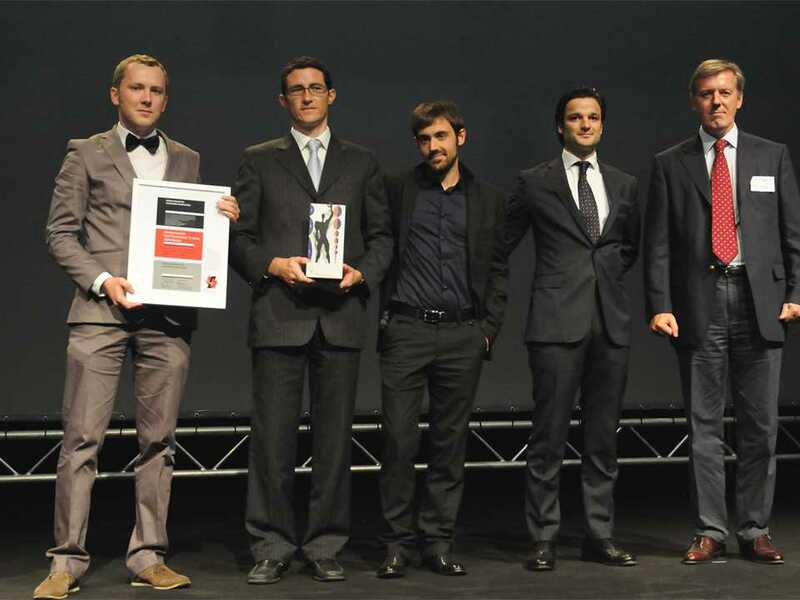 The product has been used, for example, as a lattice solution on Vente-Privée Office Building, Paris; a brise-soleil solution at Dumbo Townhouses, New York; and a perforated façade and roofing solution at Jean Bouin Stadium, Paris. 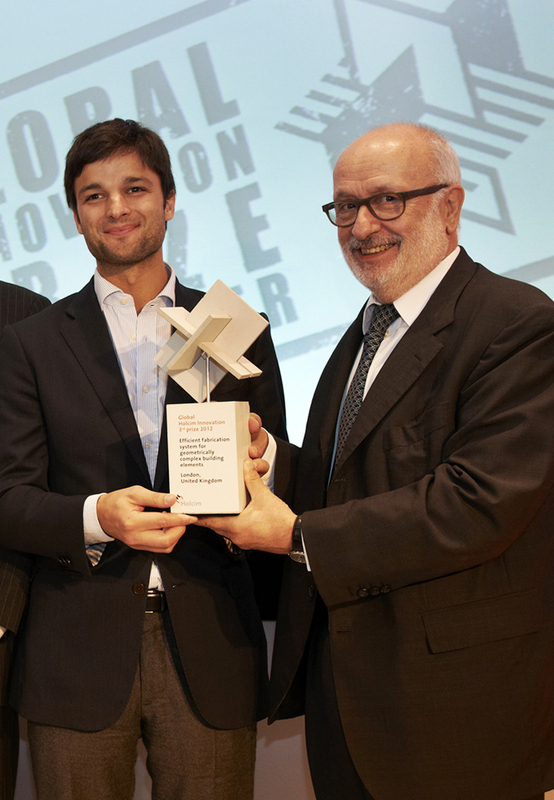 Carlos Piles was a member of the LafargeHolcim Awards winning team for “CASTonCAST: Efficient fabrication system for geometrically complex building elements” which received the “Next Generation” 1st prize for Europe in 2011 and Global Innovation 3rd prize in 2012. 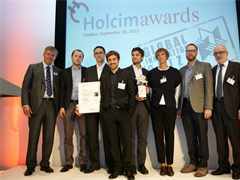 The project’s essential proposal was to produce modular elements of concrete and use one element, once cast, as formwork for the next element to be cast, and was protected under a UK patent. Complex three-dimensional forms are broken down into their separate components that are individually produced and stacked until they form the complete building element. 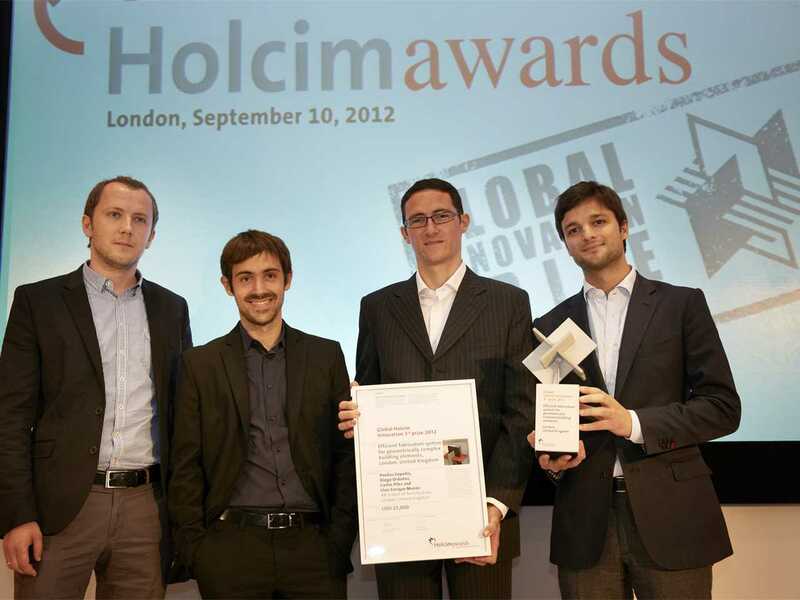 Members of the project team are continuing to extend their research and bring the system to production. 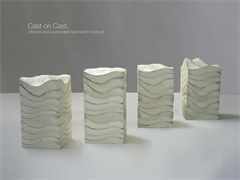 Carlos Piles holds a Bachelor of Architecture (2008) from the Universidad Politécnica de Valencia, Spain; a Master of Architecture & Urbanism (2011) from the Design Research Laboratory, Architectural Association (AA) School of Architecture, London, UK; and is studying an MBA at the International Institute for Management Development (IMB) Lausanne, Switzerland. 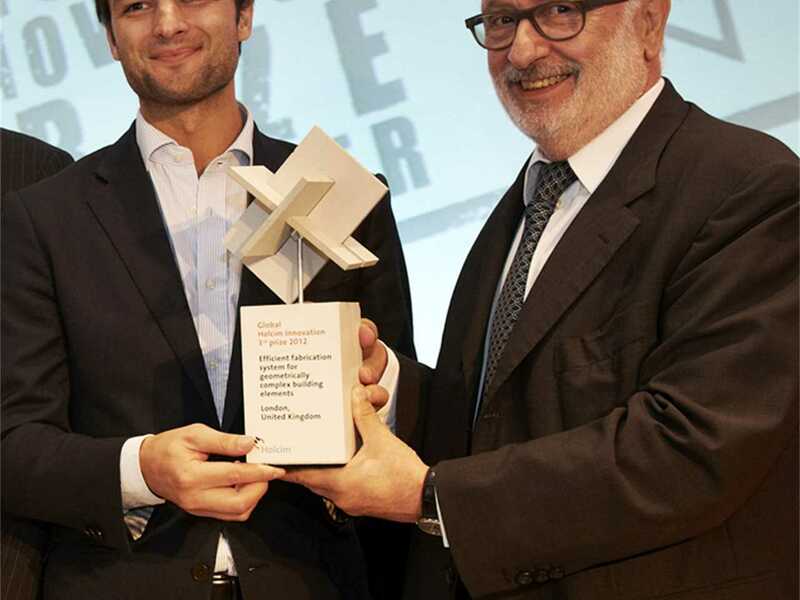 He was an architect/computational designer at Zaha Hadid Architects, London (2011-12), architect at Skidmore Owings & Merrill, London (2012-14), and a senior architect/senior computational designer at NBBJ, London (2014-15) before commencing with LafargeHolcim (2016– ) as a strategic consultant.